Top Notch Quality & Service at Competitive Prices. Precision Resources was founded in a 1200 square foot building with two Bridgeport Mills and two small engine lathes, and one machinist with a lifelong dream of owning his own shop. That machinist was Paul Ruby, and the time was July of 1989. At that point Paul had accumulated over 17 years of industry experience, starting with a vocational program within Los Angeles city schools. Paul later progressed from Journeyman machinist to master toolmaker, and finally to prototype machinist, accumulating experience in various shops in the South Bay area of Los Angeles, California. Paul has held numerous positions in the Aerospace Industry in Southern California, such as Development Engineer, Machine Shop Manager and Spacecraft Field Service Manager, including extensive experience in the Space Shuttle program. Paul had the desire to put that experience to work for Southern California Manufacturers. Today Precision Resources has grown from that 1200 square foot building to a 15,000 square foot company-owned facility in Hawthorne, California equipped with the latest technology in machined parts manufacturing. The company serves customers in the Aerospace, Medical, Industrial, and Electronics fields. Several of our customers date back to the year we first opened our doors. Precision Resources – Putting experience to work for you…………. 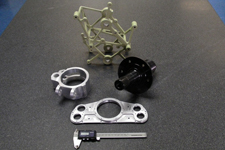 Precision Resources is committed to providing our customers with the highest conceivable quality in machined parts and machining services. We strive to furnish these value-added services at a price that is fair and with deliveries that meet or exceed our customers' expectations. We maintain an atmosphere of continuous improvement by providing our employees with company sponsored training, the finest quality tools, and the best available technology. 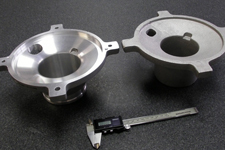 We have created a working environment that rewards teamwork and innovation, thus ensuring that our customers receive the highest quality and value in machined parts and machining services. At all times we strive to preserve integrity in our transactions with customers and vendors, stressing honesty in all business practices and relationships. It is our practice to select vendors whose commitment to these values mirrors our own. We at Precision Resources strive to become a beneficial part of the Manufacturing Community. As such, we set forth the following values. We deal honestly and fairly with all of our employees, customers and vendors. At all times we place responsible, ethical behavior ahead of profit and personal gain. We seek to do business with companies whose values mirror our own. We strive to be an asset to our local community. We observe all federal, state and local laws, and we operate and maintain our facility in such a manner as to limit waste, noise and pollution wherever possible. We implement procedures to minimize the usage of energy and raw materials, and to recycle those materials wherever possible. We participate in Trade groups and organizations whose mission is to further the cause of Commerce and Manufacturing both locally and nationally, and we support the efforts of those groups financially and in spirit. We require all of our Board Members to contribute their personal time and money in service to the community each month, and we encourage all of our employees to do the same.